The Department of Communication and Media Studies at Fordham University (CMS) is dedicated to the interdisciplinary examination of human communication in an increasingly networked society. Just as digitalization and other forms of technological innovation yield a media environment that is constantly changing and evolving, sometimes in revolutionary ways, our diverse program keeps current to the most recent developments in theory and practice while staying true to its mission of emphasizing ethics and social engagement. Students enrolled in the Classes of 2019, 2018, and 2017 have the option to continue with the old Communications program, although we encourage them to select one of the above, specialized majors. For students enrolled in the School of Professional and Continuing Studies (PCS), we offer a major in Communications. 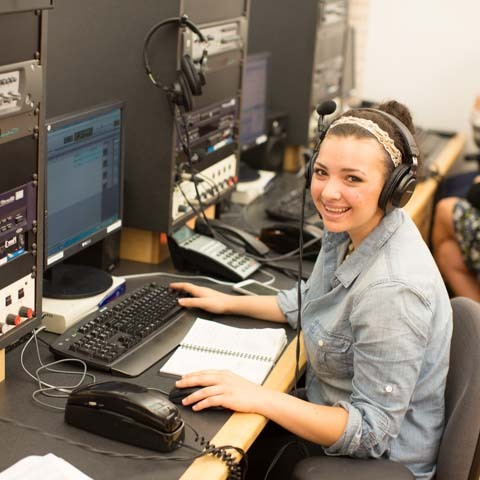 We also offer a Masters of Arts in Public Media, in collaboration with WFUV, Fordham's public media Station, and WNET, New York's premier public television network. We are affiliated with the interdisciplinary major in New Media and Digital Design at Lincoln Center. Courses are available at both the Rose Hill and Lincoln Center campuses.